The City Administrator's Office serves as the point of contact for residents who have comments or complaints concerning City services or any other functions of the City. Residents can also contact this office for any information concerning the Mayor or the City Council. 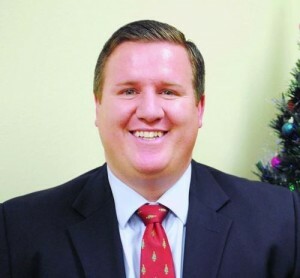 Joshua Bake was selected as the new City Administrator for Naples City in November of 2014. Bake has years of municipal service and a love for local government. Bake received an undergraduate degree from Southern Virginia University in 2007, a Juris Doctorate degree (Law) from the University of Wyoming in 2010 and a Masters of Public Administration (MPA) from the University of Wyoming in 2013. Naples City welcomes Joshua Bake as the new City Administrator. Joshua R. Bake was appointed as City Administrator by the Mayor and Council in November 2014. Bake has various experience in local government ranging from municipal court management to urban renewal development. He has a passion for local government and values working closely with other communities. Bake has a Juris Doctorate Degree from the University of Wyoming College of Law, a Master’s Degree in Public Administration from the University of Wyoming and a Bachelor of Arts Degree from Southern Virginia University in Buena Vista VA . He enjoys being part of the community and has been involved in local Rotary organizations, coaching youth football and working with various volunteer organizations. His hobbies include any sporting activity, hiking, camping with family, and classical music. Joshua and his wife Betsy have five children.